Compare house removals in London! House removal costs comparison - free to use with no obligations. Check how much it will cost you to move house from, within or to London. - Do not waste any more time on browsing for house movers. We have done this for you already. 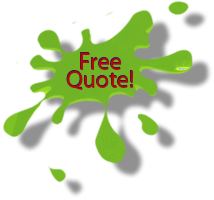 Just use our online form or give us a call and get 5 directly from local moving firms. 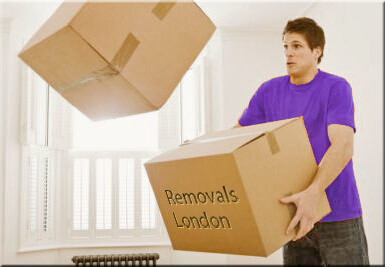 Dear residents, future inhabitants of London and visitors of our website dedicated to House Removal services, professional removal men of our company are always ready to help you with moving the entire 2, 3, 4 or 5 bedroom house as well as a studio, an apartment of just 1 room. It does not matter on what floor your home is. We do not care whether there is a lift or we have to carry up and down your 3 seater sofa, fridge, freezer and double bed. We are the professionals that will complete any type of residential move in accordance to your requirements, timescale given and budget. We can pick up, deliver and assemble new furniture or dismantle, transport and reassemble the existing house equipment. We will be happy to pack all your domestic items as well as personal belongings using our own packing materials and specially designed, improved moving boxes. 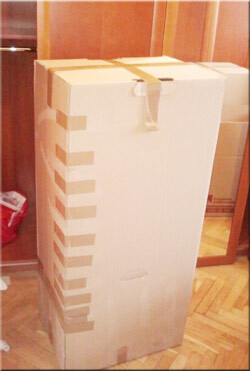 If you prefer to pack your goods by yourself we can simply order the boxes from us or get them from anywhere you want. However we strongly advise you to leave us the packing of any fragile items. Otherwise will not be able to offer you, as well as any other house removals London, an insurance option to cover any possible damages to your gear while in transit. 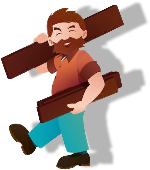 The high quality of our local home removal and very reasonable cheap prices distinguish us from others. Our house removal experts, supporting the company's image, will deliver your properties on time to anywhere in the UK as well as in Europe or worldwide. We work not only in London. We are ready to transport your books, kitchen table, garden items and personal stuff to any destination in the United Kingdom. We can also move you household furniture, for example from Aberdeen , Glasgow, Edinburgh, Manchester or Birmingham to London. As you can see we are very flexible house movers providing long and short distance moves to and from anywhere in England, Wales and Scotland at local and cheap rates. Moving house carriers are subtle psychologists who knows the chain of commands, and at the same time, can spend a few moments to chat with a stressed client to cheer him up. Our man and van London handle your possessions with at most care all the way from the start to finish as we have developed a responsible approach by applying removal procedures to each stage of transportation. Dismantling and removal of your belongings is accompanied by the preliminary packing of fragile items such as TVs, porcelain, ornaments, grandfather clock, cameras, glasses, jars and bottles which are stored separately to reduce the potential risk of a damage. We use quality packaging like air bubble film, thick cardboard and the usual polyethylene foams. Once we have vacated your old and new house we remove all the debris. If you are moving at least 2 bedroom home, assuming the entire content of you household needs to be transported, we offer free survey. This activity is carried to make a list of all the items to be moved to assess the volume of your move and discuss other services you may require. Why we need to know the exact volume and the scope of work? To successfully plan your house removals in London we need to establish the size of vehicle and the number of crew to complete the job within one day. Instead of adjusting our price while moving we prefer to provide you with the exact and final costs before the commencement of you house relocation. This allows us to avoid any unpleasant situation and discussions caused by the final invoice amount being different to the initial one that you agreed to.